Blackhand Gorge got its name from a Native American hand shaped petroglyph on the side of a cave found near the gorge. That has since been destroyed, when in 1828 the cliff face was removed to make way for the Ohio-Erie canal. The park is 956 acres with hiking paths and mountain bike trails. 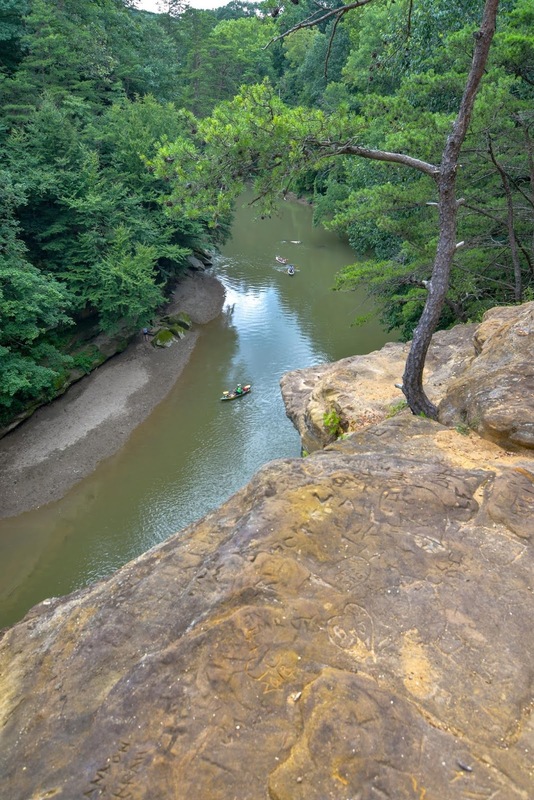 The gorge was formed by the Licking River which carved its way through the sandstone. 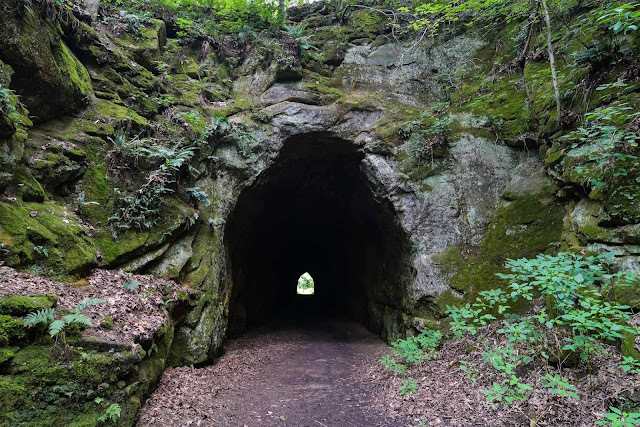 With other more well known attractions close by like Dawes Arboretum and Dillon State Park, it is understandable that a lot of people from outside the area might overlook this great treasure. There are quite a few places to find trailheads, but one of our favorites is just off Toboso Road. There is a main parking lot with a log cabin by it. Just down is an overflow lot. We parked there and found a trail head marked on the map as "L". You'll see some fence posts and a bike rack at the start of it. 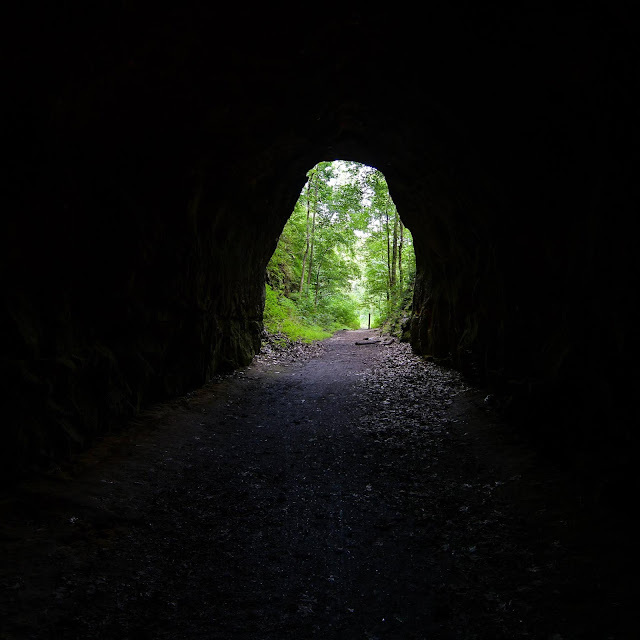 Follow the trail and eventually you'll find this cave as seen in the images below. Along the way, there are flowers of all kinds and easy to follow trails. Close to the beginning of the trailhead, you'll find a short spur trail that will take you by one of the old Ohio-Erie Canal locks. Make sure to check that out, especially if you've never seen one before. Continuing further down, you'll see a path that goes to the left and up the rocks. Definitely take that path and you'll be gifted with the site of seeing the view from our opening image. Even if you don't come out to this area specifically for Blackhand Gorge...take some time and visit this little gem. The hiking trails are great, you can kayak, and there is access to the water. Not only is the nature beautiful, but the people are very friendly. You never know, you might find a new friend out here too!